This summer was clearly the hottest summer ever in Korean history. This summer matched and surpassed 1994, which was then the worst heat wave in history. According to the Korea Meteorological Administration (KMA) on August 9, the number of days when temperatures reached over 33 degrees was 23.9 days on average. Moreover, the number of nights in which the lowest was above 25 degrees was 12.6 days on average until the August 8 of this year. By region, Cheongju city had the largest number of heat at night in the nation with 27 days. Seoulites suffered at night for 20 days. The number of days and nights of heat in Seoul are the second largest following those in 1994. Because the heat continued daily throughout the summer, the government established cooling shelters, where people could avoid the heat. 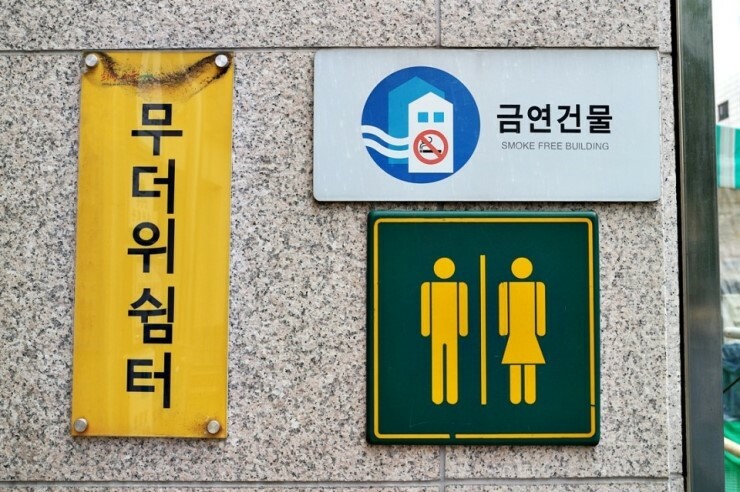 In total there are 3,252 cooling shelters in Seoul, and they include senior citizen centers, community service centers, banks, and fire stations. Whenever there was an extreme heat warning for the city, 427 of these designated cooling shelters would open their doors until 9 p.m. so that people could avoid the heat and not suffer heat stroke. Seoulites could find the location of these cooling shelters on the ‘Seoul Safety-Nuri’ homepage or on the smartphones through the ‘Seoul Safety’ application. Cooling shelters run each summer, but they are usually only accessible during the hours of operation of the institution. However, with the intense heat and so many people not being able to sleep due to the hot nights, they remained open until 9 p.m. Also, this year, the Board of Education and 10 autonomous regions opened midnight cooling shelters at school facilities such gymnasiums so that senior citizens, lower income people, and others could spend the night in a cooler environment. They could stay from 5 p.m. to 7 a.m. the next day. The midnight cooling shelters had all-night air-conditioning, drinking water, tents, and bedding that people could use after showing identification and writing a report on their stay before leaving. These midnight cooling shelters opened from August 7 to 24 and could accommodate about 80 people a day. The midnight cooling shelters operated out of 11 schools in Seoul, and if the number of individuals wishing to use the shelters surpassed the number of people the facility was able to accommodate, admission was first given to people over the age of 65, lower income people, and the disabled. A number of people who had to overcome the heat of the summer on their own felt this admissions policy was not applied equally to all citizens. Nevertheless, the cooling shelters did help people to bear the heat of the summer safely and healthily. In following years, the cooling shelter plan should address issues of impartiality and also not be restricted to Seoul, but be extended to areas in the provinces so that all citizens could take advance of it.